We present a new series of Akurat Lighting D-Soft LED panels with permanently installed high efficient diffusing optical system. The use of innovative diffusion materials allowed to obtain unbeatable photometric parameters. High performance is a significant energy saving, especially important with battery working. Perfect diffused light gives a lovely soft shadows, without a matrix structure. D8 is a basic model of D-SOFT series. 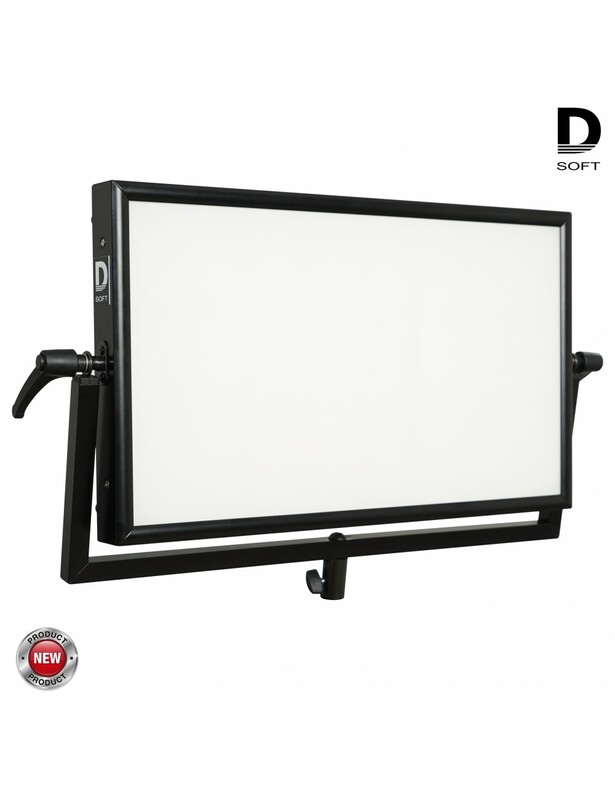 This 60 × 35 cm aluminum illuminator is equipped with two sets of highly efficient high-CRI SMD LEDs. Such a design, combined with a microprocessor-based controller, provides brightness and colour temperature adjustment capabilities, three memory banks for user settings, battery state readout function and low-battery state indication. Version with an extension of G – D8G is additionally equipped with a +/- G adjustment that allows tuning of the hue of light to the vision of the operator or to the ambient. Excellent photometric performance D-SOFT owes to the use of advanced materials for the construction of the optical system. It consists of a diffusion film of a high permeability and the structure of micro-lenses placed in front of LEDs, whereas the low-lossy reflector of a high diffusion is located behind the diodes. Proper combination of these materials guarantee beautiful soft light with a high intensity. 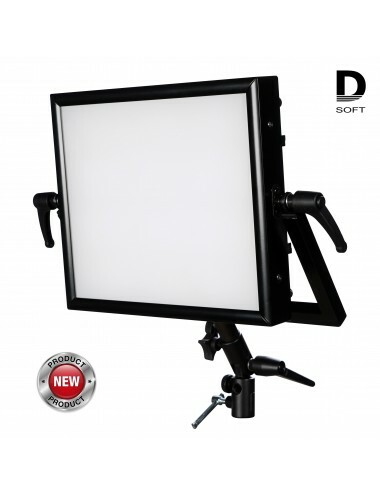 D8/D8G panels are offered as the studio kit with AC power only, or as the reporter kit with AC and battery power and carrying bag. In the back of D8 there is a control panel consisting of buttons for device operation, a display for indicating current per cent brightness setting and current colour temperature expressed in kelvins, diodes signalling the operation mode, battery seats (optional) and mains power supply socket. Controllers of D8 lights have a non-volatile memory for three panel presets that include brightness and colour temperature settings. Calling the presets from individual memory units is done by pressing the related memory buttons; storing a preset requires holding the chosen button pressed for a while. Indicators found next to the buttons signal the use of memory. D8G control panel consists of buttons for device operation, and a display for indicating current percent brightness setting, current colour temperature expressed in kelvins and additionally the +/- G correction value. The driver allows the +/- G correction in 127 steps. Zero on the display means no correction, +63 represents the maximum shift of hue towards green, – 63 represents the maximum shift of hue towards purple. The reporter kits of D8 and D8G are equipped with adapters for powering the light from 14.4 V batteries with a V-Mount bracket. The controller of the device is equipped with a battery state tester. Current battery voltage is indicated with an accuracy of 0.1 V. The device signals low battery by flashing indicators.